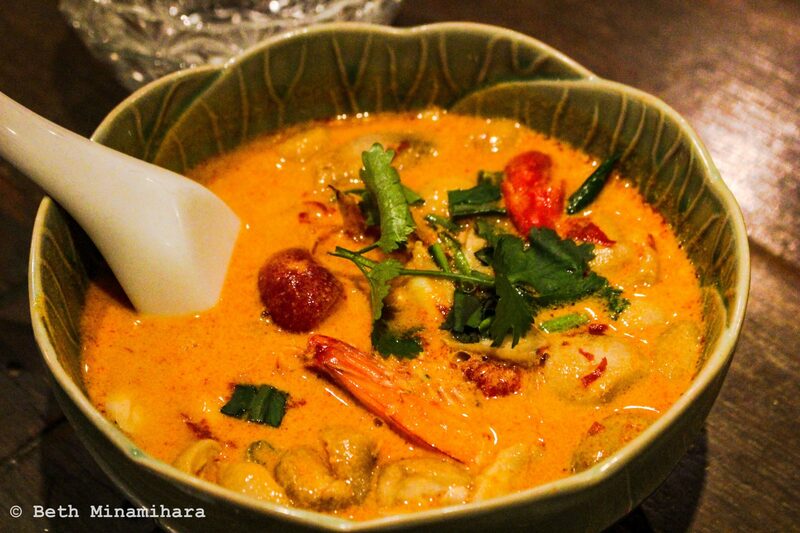 Tom Yum Goong! Needless to say, Thailand has their signature cuisine that foreigners like me would love to try. Why do you travel? The answer to that question and to your growling stomach is food. 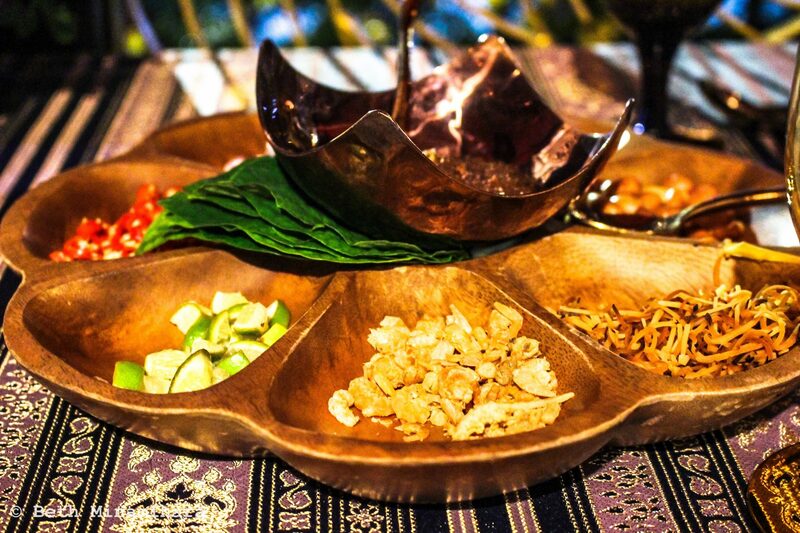 If by any chance you’re in Thailand you should grab the opportunity of trying their spicy mouth watering eats. Just thinking about them makes me salivate. Hehe. 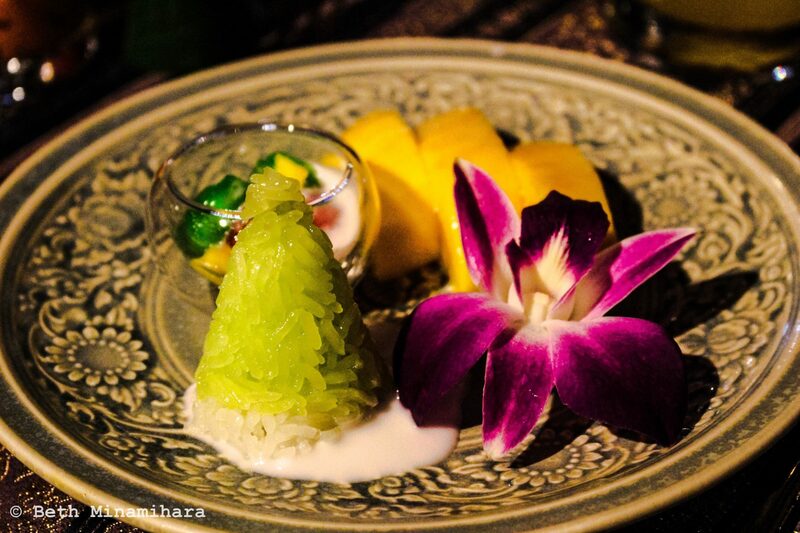 To give you a quick background of the taste which screams Thai, bear in mind the words sour sweet and spicy. Without further adieu, here are the trademarks. Chicken or could be beef, fish with cherry shaped eggplant, red bell pepper, coconut milk, green curry paste and that green beans. 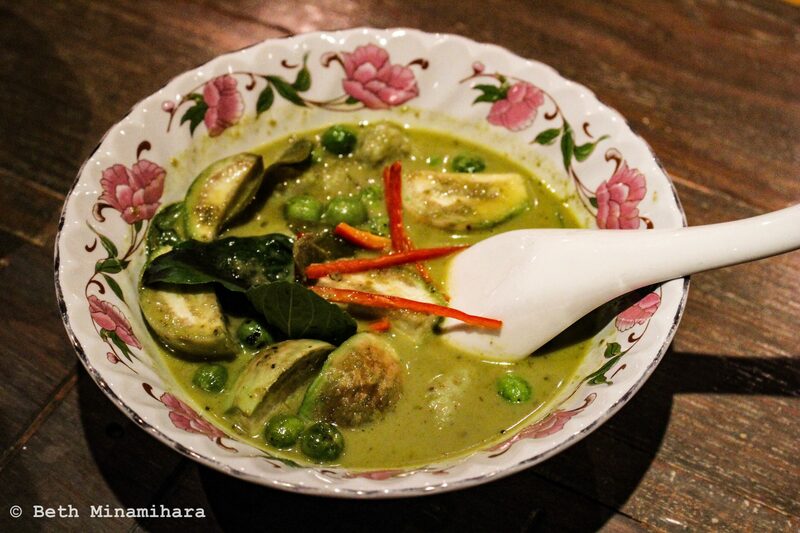 It’s a different style of green curry than what I sometimes eat in my country. 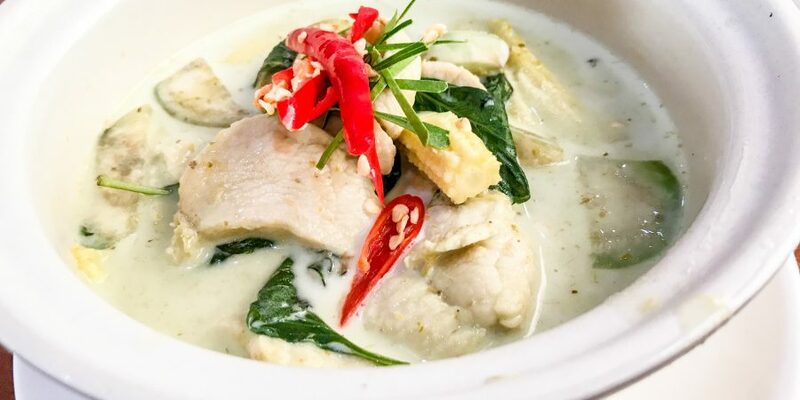 Now this is what you call authentic Thai green curry. My favorite by the way. We bought a paste to try it home. Shrimps with mushrooms, cilantro and Thai spices in spicy and sour lemon grass soup. One of the most famous signature dishes in Thailand which is my husband’s favorite. The unique taste screams Thailand! We bought the paste because we’re planning to cook it. Thai thin rice noodles stir fried with egg, bean sprouts, crushed peanuts, tofu and spring onion. I saw how the chef cooked it. It seemed simple and quick. I can’t explain to you well how the taste lived up to my palate but I’m pretty sure it has a unique taste. 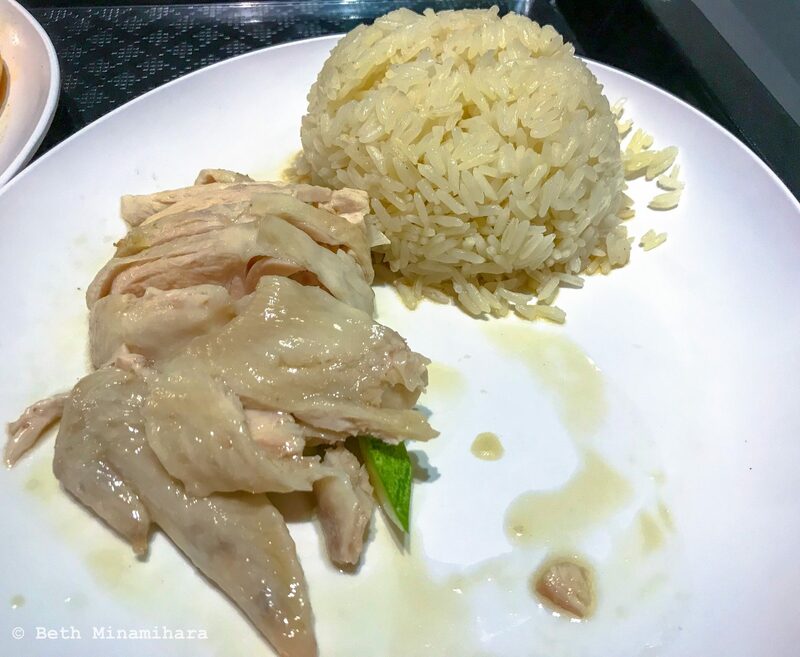 This is the Thai variation of Hainanese chicken rice. It comes with chicken, chicken broth or soup, cucumber and their delicious rice. It’s not a normal rice, it feels like it’s cooked in chicken broth. I love this food! Apart from it being not spicy, you can find it anywhere because it’s a famous street food. My husband and I had a hard time figuring out where to buy it though. Turned out it can be bought in Siam Centre. Their food court, Food Republic. Fresh mango served with warm and creamy sticky rice. I ate this on our cruise with Anantara Resorts. Delicious. A kind of dessert similar to my country. It’s safe to say, a taste of home, the Philippines. They call it Betel Leaf Wrap. Just by looking at the picture you can tell why the name. 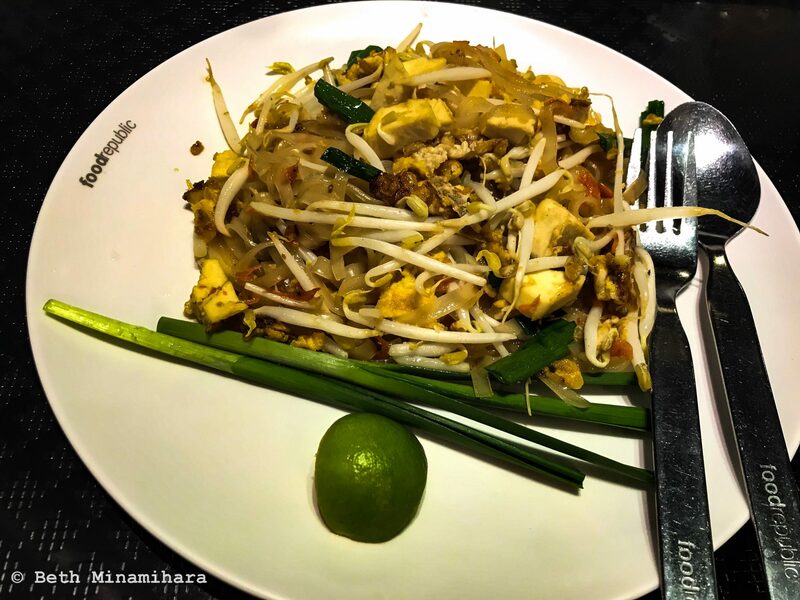 It really is an explosion of flavors that comes with toasted coconut, roasted peanuts, dried shrimp, thin-skinned limes, shallot, diced ginger, thinly sliced chillies and Betel leaves. Fold the leaf, fill it with all sorts of goodies and top it with a sweet savory sauce. Be careful of the chillies though. Very spicy. I ate all the roasted coconuts there to remedy the piquant taste. These are only few of the Thai foods I tried during our holiday in Thailand. I know there are tons of them but a week holiday isn’t enough to try everything. Next travel to Thailand perhaps? Bon appetit!